Good news! 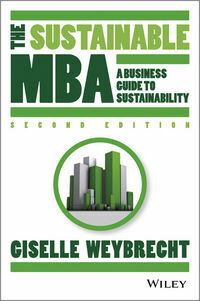 The Sustainable MBA book keeps going from strength to strength, well enough that I am now working on the second edition which should be out sometime next year (2013). This is where I need your help. I’d love to hear from you via email (gweybrecht@thesustainablemba.com) about what you like about the book, what you think might be missing and if you have any interesting examples of organisations doing interesting work in this area. Thank you already to all of you have have emailed me suggestions. They are very much appreciated.